It is with great enthusiasm, excitement, and anticipation that our music family, in one of our steadfast traditions, hosts the State Concert Band Festival on Tuesday night! Over 100 bands from across the State, including 40 from Region I (North Jersey) will perform for peers, directors, and a great set of judges. In the end, four bands from each of NJ’s three regions will be selected to represent the State at the annual Gala Concert. This has been part of our concert band’s lineage for the past two decades. Something else to consider – we will be the only school at this level who brings an all-encompassing, non-auditioned group. This is a tremendous source of pride for our band and community at large. Each and every one of our students in the program shares in the experiences equally: there are no “have” or “have nots” in our singular musical family. I can easily contend that this unique paradigm is successful, but I believe the music and energy on stage will speak for itself! Happy Sunday. This is always a great time of year in the Verona band as we approach the Concert Band Festival, VA Beach and possibly Rutgers & the State Gala Concert (though most importantly the day-to-day ventures). Our philosophy this time of year is simple – play as much quality literature as we can and learn as much as we can on that journey. But folks, we all need to be committed to putting some time in, which translates to fun and joy with the music. We need a really strong “D” day this week starting with lessons tomorrow. 3 days of not touching our instruments is detrimental – we lose our physical muscle memory and move backwards instead of forwards. Wednesday is our first, of 3, concert band rehearsals. The offer is still there for pizza on Friday during lunch to stay consistent. It is not easy to stay on a high artistic level, we all have to make some sacrifices. If we chose not to, the experience will not be as exhilarating. But when we choose to commit to our playing, and hence the greater good, the rewards and lessons taken from this journey are unparalleled. I am struck by a quote this morning by Victor Hugo: “Music expresses that which cannot be put into words and that which cannot remain silent”. In quintessentially Verona music family form, our beloved Marching Maroon and White concluded our competitive season with an absolutely electric performance of American Colors. The energy was infectious, as the band filled the VHS gym with the music of Gershwin and Copland. We were fortunate to finish in first place, however, what I love, love, love about the VHS Band is that they knew what they did long before the judges announced the scores. The tears, hugs, and pure epiphanic joy was omnipresent as we huddled in the band room, and by far supersedes any pedantic judging rubric. We continue to be outside-of-the-box committing to playing the absolute best repertoire we can get our hands on, while having the largest band-to-school ratio of any school I have ever seen! A special thank you to Mrs. Gabrielle Caprari, Mr. Brad Caprari, the entire Verona Music Parents Association, our supportive administration, and our community at large for running an incredible indoor experience (not easy at at all!) and giving our students, and the students of North Jersey a singular experience. Physicals: Anyone who does not have the physical paperwork in by Friday August 17 will not have a spot in the drill. We are over three weeks past the deadline, and many, many reminders. Mini Camps and Band Camp: Mandatory for anyone who wants a spot in the drill. Winds/Brass: Please play today, tomorrow, and before rehearsal on Wednesday and make sure Part I is completely memorized. If you missed many June/July rehearsals you have work to do for sure. Drum Line: All technical exercises that you have worked on with Dan need to be memorized, as well as the Part I writing you have received thus far. Pit: All technical exercises that you have worked on with Julie need to be memorized. No music will be passed out until these are learned. Guard: All drops spins, across the floors, etc. must be intuitive at this point, as well as the Part I worked introduced at the last rehearsal. Use this You Tube link Guard Part I and contact an older member if you are having trouble. Your preparation for Wednesday night and beyond, and the attitude you bring inside and outside of rehearsal, is at the heart of the lineage of the Verona Music Family. Greetings Verona Band Family. I hope this email finds you well. It is hard to know where to start when I reflect on this year, but I will try. The Marching Band~ In 2016, we as a family decided that the traditional governing agencies of competitive marching band did not work for us. With the support of the students, the VMPA, Mr. Kelly at West Orange High School, and the New Jersey School Music Association, I was proud to serve as the NJSMA Marching Division Chair, and help facilitate the 1st ever Marching Band Show here at VHS~ What a night it was, with 16 great bands here on our home turf (pun intended)! It was certainly exciting taking 1st or 2nd Place at every competition this year, especially at the last, but, more importantly, we paved the way for a better educational experience in marching band and stayed true to our values. The Concert Band~ What a special, special group. We started with our Holiday Concert with a bang! In March, we had a great masterclass in DC that gave us a last minute edge for hosting the Region Concert Band Festival at VHS, a big part of our lineage. We rocked the house that night to a standing ovation, taking a Gold Rating, Best Percussion, and headed, once again, to the NJ State Gala Concert in May, finishing 2nd out of 31 bands. And, of course, we went back to the Cathedral Basilica of the Sacred Heart Heart, continuing the traditions we started back in 2012! What a day of beauty, family, and artistry. And finally last week’s Spring Concert was the perfect truffle salt over our pasta, giving us closure with a program seemingly unthinkable for a 9-12 all encompassing band. The Jazz Band~ The Verona Jazz and Beyond continued their tradition of musicianship, artistry, and tackling music from all spans of the globe. They hosted their annual Jazz Day (At Night~) exposing the students to the some of the most preeminent jazz artists in the NYC area. This was a vessel that pushed the Jazz Band forward to their annual Jazz Night and awesome performance at Just Jake’s in Montclair. Percussion Ensemble and Chamber Music: The VHS Instrumental Music program maintains a commitment to chamber music in all ways, shapes, and forms. These pivotal experiences give the students the opportunity to embrace symphonic music in solo, duet, and small group settings without a conductor, paving the path to musical independence and autonomy. The Percussion Ensemble rocked the Necessary Noise Music Festival in February, and joined the remainder of our chamber groups at our annual Chamber Night! Music Theory~ Arguably the hidden gem of our program, music theory at VHS pushes the boundaries of the traditional AP program. This year Dr. Jennifer Snodgrass of Appalachian State University “Skyped” into our classes. She will be including our activities in a chapter of our her upcoming book Teaching Music Theory: New Voices and Approaches (published by Oxford University Press). So exciting! Looking forward to seeing everyone tomorrow and reconvening as a family on Tuesday morning! Good evening. It has been a bit since I have blogged and I wanted to reach out quickly. Before any awards come in I wanted to make sure everyone knows how proud I am of each you and our band as a whole. Since the Holiday concert we have worked ferociously on this professional grade literature, and I can’t wait to see how our hard work pays off tomorrow night as we make art at the highest level. 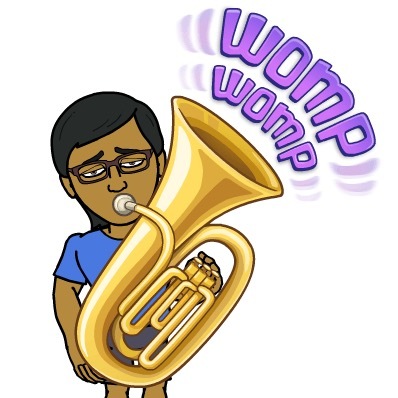 Seniors, I was just thinking back to your freshmen year Region Concert Band Festival (Bright Gleams a Beacon~) and how much the program has grown in four years – we have had quite a journey together. What is my wish for tomorrow night? I want something awesome to happen in the music that has not happened before! This will happen when we communicate and invest every ounce we have into the fabric of music. Sorry misspoke halfway through the video! Basilica is April 18th! So the Holidays are here. The egg nog is pouring and Mr. Lynch is stressing over what video game to buy Wilner (leaning towards Poochy and Yoshi’s Wooly World btw). And one of the greatest nights, if not the seminal, night of the year is coming our way on Wednesday night: our annual Holiday Concert. For our concert band we begin our journey of performances with an absolutely wonderful set of tunes. The Nutcracker? Who will not be happy after we play this? The Schumann? What a great chance to show our wonderful sound and sense of gesture. Christmas Legends? Come on, you know you love it~ I guarantee a standing ovation after the not-so-subtle oscillation of Eb major and Bb major chords. I want to ask you to think about what you can do over the next few days to make this happen? Can you take 3 minutes to run through that a lick that is tough? Can you play some extra long tones in the morning to prep for our dress rehearsal? You are all such intelligent young adults and you know exactly what needs to be done so we can celebrate this concert together in the tradition that is the Verona band. With that said, approach these last few days, and beyond, with the integrity and perseverance that this demanding art form asks of us. Ok, off to Walmart to fill Wilner’s stocking. Later. How did we become the musical family we are? How did we get to Carnegie Hall? How did we become the first high school band to play at the Cathedral Basilica? How did we get back there a second time and commission Organic Matters? How do we get audiences to stand and cheer year after year after year? How did we premier the seemingly impossible Anorev Festival last year? How do we delineate ourselves as the only all-encompassing 9 though 12 grade band to play on the level we do? How do we continually balance a critically reflective process with the product that those who know us have come to expect? The answers are simple to understand in theory, but not so easy to put into practice. Commitment, sacrifice, and consistency, to our craft, inside and outside of band class, are at the heart of our success. This may vary from the person choosing a career in music, to the person who dabbles int the art, but we can not achieve our collective artistic vision(s) without contribution from each and every person in our music family. We all count. Yes, we all count. We depend on each other. The first harmonies are only as good as the third harmonies. Every triangle articulation is as important as the timpani solo. Why? Because we all count. All of us. Do you think of band outside of band? What does it mean to you? If it means a lot, what are you sacrificing to get better as an individual? What would it feel like if we did not have music as part of our daily lives? (Personally, my existence would be empty). Our collective music making as a community is a gift we share with each other every day. However, we can not show up with empty boxes. I am struggling to find the best words to encapsulate a season that we will undoubtedly reflect upon for years to come. In very difficult circumstances our own Marching Maroon and White found a way to dazzle the audience with our artistry and musicianship, even during a standstill show in the gym at Bloomfield High School! Before the awards/score were announced we knew we had hit something special: tears streamed down the faces of our seniors knowing that they had given everything they could in a year that continuously and perpetually built on the positive. Good evening! On behalf of the staff of the VHS Marching Maroon and White, I want to communicate our sincere excitement as we prepare for the first competitive performance of FiVeS on Saturday night at Roxbury High School! A quick word about competition: it is certainly ALL subjective and we can not get too wrapped up in the scores. I see competition in this idiom almost like a swimming pool at a hotel… If it is there, great, let’s jump in, but if not we still have a room to sleep in. In this case the “room” is the growth, evolution, and maturation we make together as a family. No score can quantify that. This year certainly will be transformative, as we will host the first annual North Jersey School Music Association’s Regional Marching Band Competition with fifteen, yes fifteen, bands on Saturday, October 14th! From marching band season we will gear up for our Holiday concert, then, in our grand tradition, host the State Concert Band Festival, before we return to the Cathedral Basilica of the Sacred Heart on April 18th (just to name a few)… But most importantly we get to make great music and grow together. Tomorrow night, from 6pm to 9pm, we reconvene as a band in our last Wednesday night rehearsal before mini camps/band camp. We do need everyone take some time before rehearsal to refresh your chops (playing, drumming, & spinning) to make sure we maximize this pivotal time. Also, please remember that all camps are required to be a part of what is shaping up to be an epic show this year! Click here for the schedule for camps and the year if you need it again. Looking forward to seeing my East Coast fam tomorrow night! musicians as result of his steadfast commitment to our program and beyond…. Though Ryan was 70%, his heart, work ethic, and drive were 100%(+) all the time~ Despite a long commute from South Jersey, the Weezer-Mobile would pull up at 6:40am, and he would not stop working until long after rehearsal was done, often 10pm at night… His positive energy invigorated us all, and his work in pushing our woodwinds, and entire band, to new horizons can never be measured! I hope you join the Verona band and I at 8:45pm on Wednesday to say goodbye to our great teacher and friend, Mr. Ryan Wiemken. What do you want our band family to be this year? What are you doing as an individual to serve yourself and our family? Guard and percussion make sure your technical exercises are prepared (percussion part I is coming out tonight!) Winds and brass make sure the Mahler is memorized though D… Next week we will perform the Mahler for our parents! Good morning everybody! I just wanted to reach out as we prepare for tonight’s for rehearsal, considering that we have Five(s) left before we start our camps…The staff and I are grateful for the sacrifices that you make to be part of our summer program. With that said I think it’s only logical that we maximize what we get out of these rehearsals~ Please make sure you are physically and mentally prepared so we can do this. This starts with healthy meals, being well rested, and being hydrated. People who excel in any sphere leave no stone unturned, and our physical and mental preparation is the underbelly for all we do. Looking forward to a great night and a great season everybody – thank you! Good evening. What a year it has been… From #WagnerBaby (all rights reserved Mark Walsh) to our Sleigh Ride that went Viral, to the off charts performance at the State Concert Band Festival on our home turf. And what else, oh yes, Disney~ The awesome parade in Epcot and Mr. Wiemken finally got to meet Minnie Mouse (thank goodness, he would not stop talking about it since we hired him). It is time to start bringing the year to end and paving the path for future generations of the VHS Band… Our Spring Concert celebrates for Seniors four years of music making and the years of sacrifices of all those that came before us. I hope we as a band cherish every moment of our music making together on Thursday night, from the electric sounds of the American march, to the smooth, sonorous chords of the Grainger, to the esoteric and dissonant sounds of our world premier of the Yurko, to our swan song of Heart and Voice. From there we will serve the community proudly at our Memorial Day Parade, soak in the beautiful sounds of chamber night, and all shed a laugh, tear, and a Wilner at our banquet. So with that said folks, let’s keep doing what we do because it’s what we do. It is yet another big week for the VHS Music Program! This Thursday night the awesome Verona Jazz and Beyond will present their annual “Jazz Night”, embracing a wide of styles from jazz to blues to funk and beyond. There is no charge and this fun evening starts at 7:30pm in our VHS auditorium… Not a night to miss! I think it is hard to deny that we are in a special and musical place. With the State Concert Band Festival on the horizon next week (a very special part of our lineage and tradition) and Disney around the corner, it is an exhilarating time to be a part of this family. With that said, I wanted to echo my question from Friday’s rehearsal – how do you want to feel when the SCBF and the parade are Disney over? From an even broader lens, what do you want to take from the program when all is said and done? These answers are undoubtedly singular and personal, and we ask you to think about what you want from this enigmatic four letter thing we call band. From there, put in the consistent and quality time so your wishes come into fruition. Let’s keep pushing ahead, as what is not growing is decaying. See you tomorrow warmed up early for a short, yet musical, week of rehearsals. Having a specialist on each family (woodwinds, brass, percussion) of instruments! The list can go on and on, but the most important is that we are a family and each day we learn, grow, and evolve together, using music as our vessel. Growing as students, musicians, and artists presupposes we all (including me) find consistent time to devote for our craft. How we do this depends on each our individual lives, but beauty of committing as individuals is that we also commit to our family. We all count on each other to weed through the technical demands of the music (can you say Yurko upper woodwinds? ), so we go beyond the black on the page, and do something truly musical, artistic, and transcending with the wonderful literature we are embracing. So see you early tomorrow morning with chops ready to embrace a great week and beyond. Remember on Wednesday night we have our 1st concert band rehearsal from 6:30pm to 9:00pm. On behalf of Mr. Wiemken and the marching band staff, I wanted to extend my heartfelt gratitude to our incredible music family for making Verona’s performance at Rutgers so very powerful and transformative. Every possible support team of our band synergyzed to give the 110 students of the MM&W another wonderful set of memories. So, to our tirelessly dedicated VMPA, chaperones, volunteers, pit crew, and fans, we extend a heartfelt thank you! Last Monday after our home festival the students and staff gathered in the band room to talk about how great our show was and how we could continue to improve for Rutgers. I was so moved and humbled to see all that hard work transfer to the field at RU, and to watch in real time the continued growth and evolution of our show from week to week, which is quintessentially Verona. Our ventures reminds me of a quote by the famed educational philosopher John Dewey, who contends: “Growth is an end”. A quick word about scores. The culture of marching band has moved to a place that rewards “safe”, “clean”, and “gimmicky”. Sadly, this means that the quality and the difficulty level of music performed on the field is absolutely not taken into consideration (take pulse now). So Verona has become an anomaly, or possible an outlier, in respect to the fact that we challenge our students with a demanding and artistic show that exposes them to some of the greatest composers of the symphonic, operatic, and orchestral tradition (a sad affirmation, clearly). This year, it is the epic music of Richard Wagner. So when selecting this type of literature I often ask myself this question: when we revisit the chosen selections throughout the season, is there enough substance and depth to the music to continually extract meaningful and authentic learning experiences? An Advanced Placement art exhibition rewards the student with a cleaner picture then the student who tried an original canvas painting based on the poetry of Thoreau. The picture, however, was paint-by-numbers. Team B leaves the State English competition with a “perfect” aural recitation of Dr. Suess’ Green Eggs and Ham (“I am Sam” was particularly cohesive). Team C was penalized for the perceived misinterpretations of Anna Karenina, particularly when asked to grapple with the humanity of Vrosnky. I think the point is clear 🙂 BRAVO to our students for embracing this type of show with maturity, conviction, and emotion. Their commitment to musical, visual, and artistic integrity can not be overlooked. So we continue to move on, using the positive to build upon the areas for refinement as we approach our final two competitions of this epic “Night at the Opera” show. Onward and upward to Mout Olive and Nationals: Goals-For-Mount-Olive! It is hard to put into words the love that permeated Verona High School Music community last night at our home Festival of Bands 2016. Everywhere I turned yesterday I saw parents, students, and marching staff members serving our iconic department. Whether it was the lovely last minute curtain additions to our stage, the lush sounds of the Concert Choir during the National Anthem, prepping the wonderful food in the kitchen, or selling our wonderful music memorabilia, I was overwhelmed by the sacrifices that each and every individual made to make this a night our students will always remember on our beautiful new field. Apparently our family was not the only moved by our great work: the amount of compliments and praise we received for the elegance of our festival can certainly not be overstated. And what a performance! Many have articulated that they think that “A Night At the Opera” is one of our most powerful and singular shows in our rich and deep history. I certainly would not argue with that affirmation. I saw a former band student, Jay Palatucci , right after the show and he said to me “This is Verona Music.” Jay, I could not agree anymore. The class, elegance, and pride that 110 members of the Verona Marching Maroon and White bring to the field can never, ever be quantified in a number or in a pedantic judging rubric. A number can never encapsulate the sheer emotion and heart that our seniors poured into their speeches shortly before our performance. A number can never say how much Mr. Wiemken, the staff, and I value the sheer humanity of our band. Though each senior brought their own unique and heart-warming twist in their narrative to the band, there was one binding element in their messages: there is nothing else like the Verona Band. We stand behind our values musically, visually, and most importantly humanistically, while we support each other through the peaks and valleys of marching band and beyond. Our goals as a family certainly supersede the performance product and we all leave a little bit stronger each day and continue to build memories that we will tell our grandchildren about. We are Verona music.